at that time in the morning snugged into his bed, dreaming was all he knew. his excitement was a most difficult emotion for him to hide. reading was for older rabbits, he felt he should be doing something fun like riding his bike. the newspaper debate in the morning was not an argument easily won. 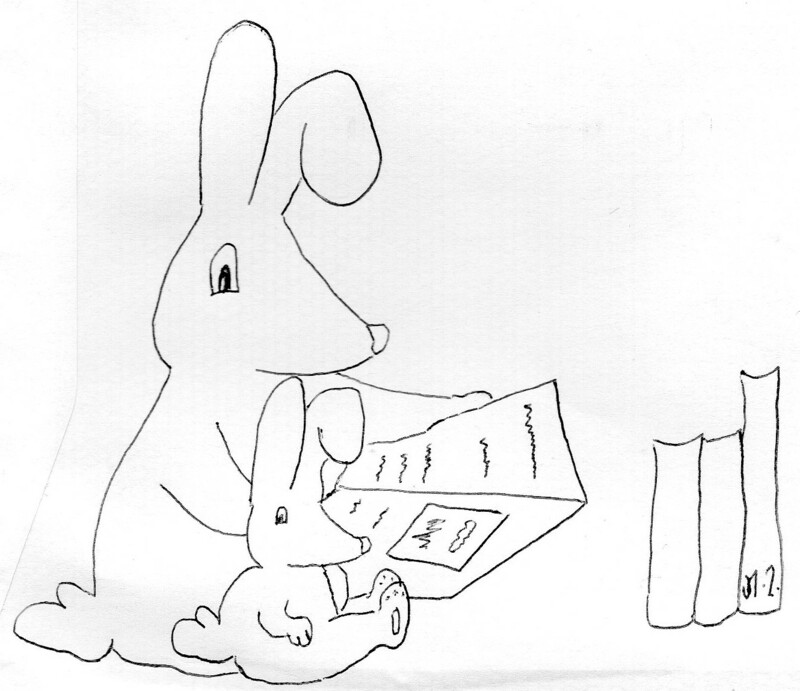 Little Rob Rabbit Jr.’s eyes towards the newspaper did stray. it was the picture about the local bunnies’ football match that got from him a longing sigh. would share the newspaper as both with the argument were done. while little Rob Rabbit Jr. would scan for all the pictures of football and game facts. a timely moment in the morning for each to read and have their own fun. all because of a newspaper that at first had a bit tiresome seemed.